As Toddlers develop friendships, self-esteem, and curiosity, our Early Play Group program will help them explore their world in a safe and nurturing environment. 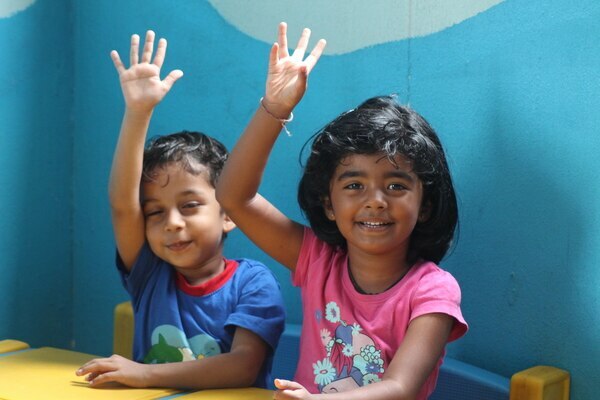 Our Play Group focuses on nurturing skills as per the progression of the age of children. 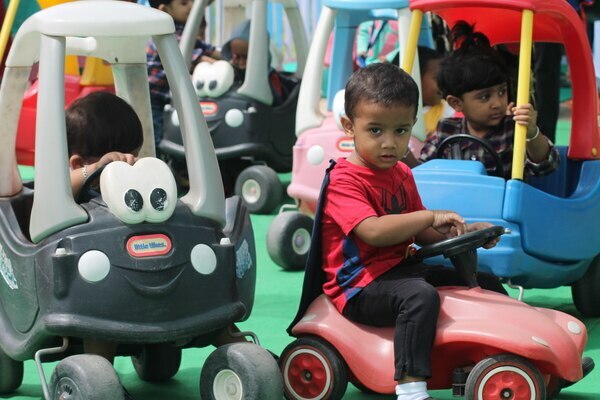 Play Group Program focuses on developing the Absorbent Mind, Physical Coordination and Gross Motor Skills and as the child grows it focuses on developing Fine Motor skills, perceptual & creativity skills. There by making a Toddler ready for stepping into academic and extra-curricular learning’s. Le Dauphinz's Play Group curriculum enables your child to grow in confidence and learn to walk tall in his new world. From first steps to first words, your toddler will begin to experience the world in new ways at Le Dauphinz. Group games provide them with a sense of identity and his place in the broader world. During this tender age they are learning to explore the sights, sounds and textures around them and they do so by using all their five senses. various aids are also used to help them explore more and more like nursery rhyme sessions and crayon colouring. These activities help them learn faster and keep their interest alive. Classroom materials include practical life tools, sensorial equipment, puzzles, books, large muscle equipment. Outdoor environment provides free play at sand pit, riding toys and Splash pool activity during summers. Children’s emotional, social, intellectual and physiological needs are all met through a wholesome environment where work seems like play and learning happens effortlessly by default. 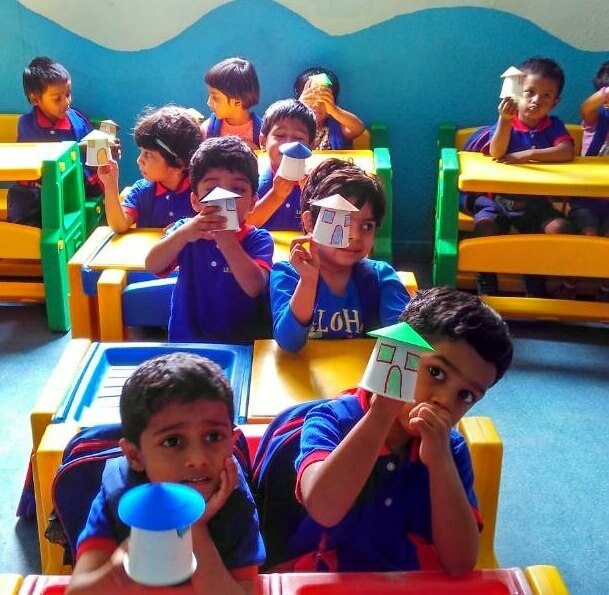 Our nursery program provides a rich classroom environment where children are encouraged to explore and are challenged to learn. As children enter nursery they begin to prepare for future writing. They begin holding the pencil in writing position and practice making vertical, horizontal and circular strokes. They are able to use 4–5 word sentences and effectively communicate their needs and feelings. 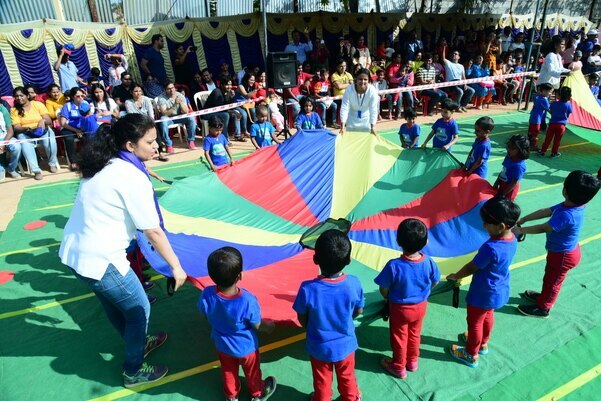 Play becomes an avenue for social development as they learn to share and take turns. School readiness activities including pre-reading, writing, counting, number recognition and problem solving become the core areas of the curriculum. The exploration of early learning continues in areas of dramatic play, science and art. Emphasis is placed on cooperative play as children explore opportunities for socially appropriate behaviour. Nursery classroom materials include sensorial equipment, puzzles, books, large muscle equipment. 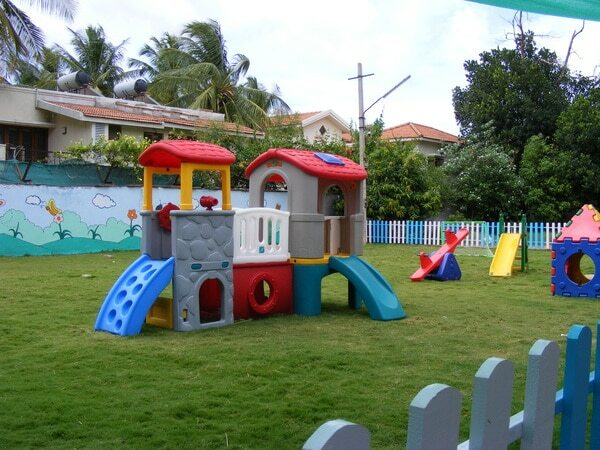 Outdoor environment provides sports activities, free play at sand pit, riding toys and many more games. 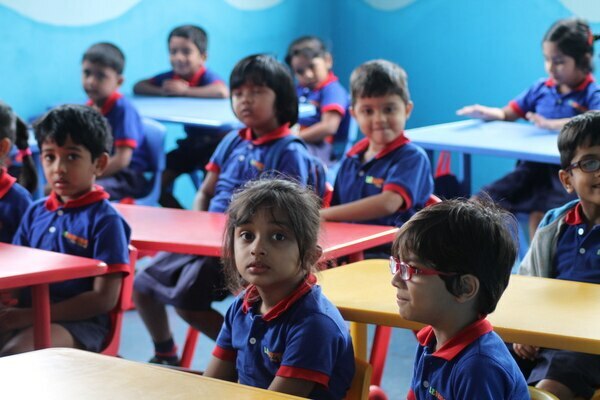 Children’s emotional, social, intellectual and physiological needs are all met through a wholesome environment where work seems fun and learning happens effortlessly by default. The areas of learning are Math and number literacy, Language for reading, communicating and expression, Science and discovery in everyday life, Global awareness-social and cultural, Creativity for enriching our lives, better body control and awareness and finally, time management, a skill that is much required for formal schooling. The children start writing the alphabet and numbers which they have learnt to pronounce in the pre-kindergarten classes. By the time the children complete kindergarten 2 they are able to read and write numbers up to 100 and also add one digit numbers. They will have accrued all the sounds of the alphabet and acquired at least few hundred words in English. The students will also be able to read small books by themselves. The child will also be able to write simple sentences in English. A skill-based program designed to prepare children for the first grade and for success in school, An environment rich in objects and experiences for thought and conversation extends each child’s language skills, This program is to enhance student’s English literacy skills in listening,, reading, writing, viewing, and representing through informational texts in Science and Social Studies. Students will be engaged in problem-solving activities, planning, designing and writing. They will learn about reading, comprehension strategies, making oral presentations, and evaluating, Every child is encouraged to use their senses to observe and explore the natural world around them. Materials are carefully selected to reveal facts about air, seasons, soil, plants, animals, time, magnets, and weighing scales, this stimulates their interest and enables them to develop concepts from the facts they discover.